NEVERS Mumba should not drag other people into his failure to run the MMD but should blame himself for his inept kind of leadership, Chembe Nyangu has charged. Mr Nyangu said Dr Mumba’s desire to personalise the MMD had caused a lot of confusion in the former ruling party and that the election of Felix Mutati was going to save the party from extinction. He said it was irresponsible for Dr Mumba to cast aspersions on the general membership of the MMD because the party was almost being disintegrated as a result of his myopic political ambitions. Mr Nyangu said Dr Mumba had nothing to offer and that his desperation for power would cost him as he had chosen to ignore constitutional requirement of the MMD in his administration. He said the court ruling had finally put to rest the unjustified debate on who the legitimate president for MMD was and that Dr Mumba had been taught a lesson not to be arrogant in a democracy. “What is he going to offer when he does not have a following, even after chasing the people in the party? He destroyed the party and he should not blame it on anyone, not even the former president Rupiah Banda,” Mr Nyangu said. And one of the MMD founder members Mulenga Kombe said the court ruling was a relief to the party and that it was time Dr Mumba took time not to consider himself president of MMD but a mere member. “Dr Mumba raped the MMD constitution by subjecting his election as party president through provincial conventions, which are unconstitutional as well as the unlawful expulsions of members who opposed his mishandling of party matters,” he said. Mr Kombe said Dr Mumba should not forget that it was Mr Rupiah Banda who welcomed him to rejoin MMD after he was fired by late Dr Mwanawasa. 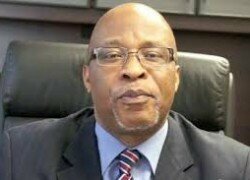 “In all fairness, we do not expect Dr Mumba to be attacking the former Head of State and the Government or any other. If anything, he should be the last man to talk ill of these eminent Zambians,” Mr Kombe said. The Lusaka High Court threw out Dr Mumba’s application to challenge the newly elected party President Felix Mutati and that the matter should now be put to rest about who was the MMD president. Judge Shapi Phiri ruled that Mr Mutati and the new NEC were the legitimate leaders of the MMD as they had furnished the Registrar of Societies with the relevant requirements in the aftermath of the Party convention. The judge also said Dr Mumba had deliberately decided not to provide evidence that the Registrar of Societies had recognised the Mutati-led team as dully elected national executive committee and legitimate office bearers of the party.